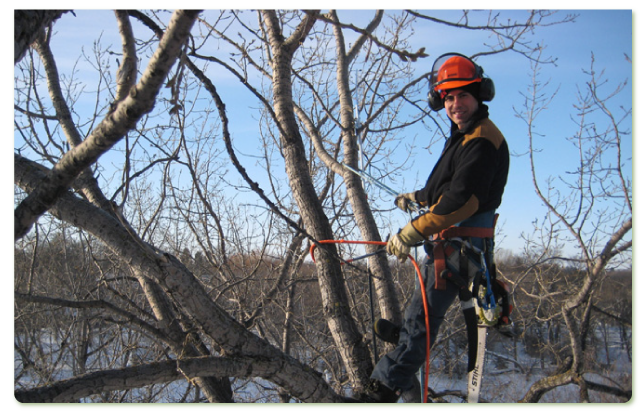 With over 15 years' experience offering professional tree care in Winnipeg and throughout Manitoba, Tree Maven Tree Service understands the importance of providing quality, reliable, workmanship, at an affordable price to our customers. We're available whenever you need us, including 24/7 emergency service. Our experienced team of arborists approach each situation with complete integrity. They take great pride in sharing their knowledge & passion for urban forestry; enabling each customer to make well informed choices. At Tree Maven, customer satisfaction is our #1 priority. Whether you require aesthetic pruning, advanced tree removal, or a professional consultation, we will strive to meet and exceed your needs. Once the job is complete, our cleaning crew will take the extra time needed to leave your property looking as if they were never there. We service residential and commercial clients throughout Winnipeg and surrounding areas year round. For your free no obligation estimate, simply fill out the Free Estimate form or contact us directly to request yours today.